Dominic Crane's been dreaming about mysterious places he's never been to. He visits a shrink who helps him uncover a dark mystery from his childhood! Buried deep in his subconscious is an eerie message someone is trying to communicate. 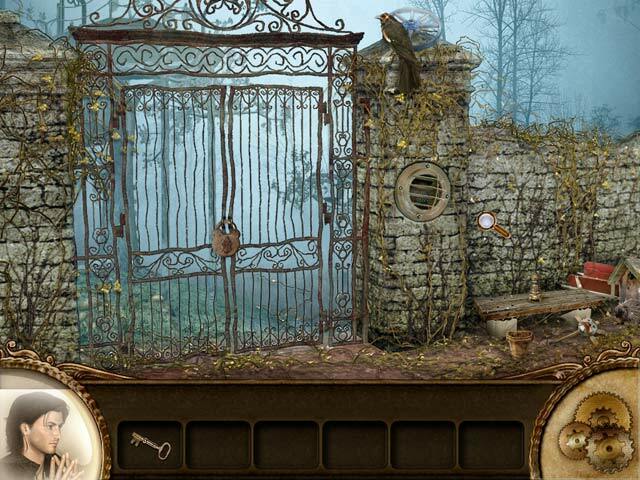 Unravel the hidden message in Dominic Crane 2: Dark Mystery Revealed, a spooky Hidden Object Puzzle Adventure game! Uncover the sinister meaning behind Dominic's dreams today! 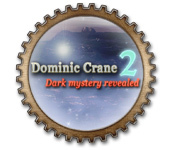 Dominic Crane 2: Dark Mystery Revealed is rated 2.5 out of 5 by 14. Rated 5 out of 5 by SparkleGlow100 from Absolutely loved this game. You've got to be in certain mood to play this. You're 90% on your own. Available at BFG since 2011.Review based on completed game. I found this game very relaxing. There are times I want a simple game, but one where I'm left to figure it out. Even though there are 15 or so HOPS, the gameplay really is more the style of a point and click adventure game. I really enjoy a lot of the 2017 games, but sometimes I just want to play a game of this style. ***This game is not like 2017 games and does not have shiny-sharp graphics or anything like that. ***90% of the time, you WILL have to work out what to do by yourself, and for some reason the hint doesn't always tell you!!! BFG does have a walkthrough which you can look up. ***Lots of places to go, indoors and outdoors, on your adventure. CUROSR- The cursor won't change shape as you scan across scenes. However, as the cursor touches on places and items that require attention, you will get SUBTLE sparkles underneath. GRAPHICS - Widescreen or Full screen, I played Full screen to avoid a stretch. Pretty basic in places. But in other places lots of detail, just not very sharp, that's all. HOPS: Wordlists. About 15 HOPS where only 3 words appear at any one time, so it actually makes it harder and fun. Some items are difficult to see and I did start to get some eye-ache. PUZZLES: All skippable after around 1 minute. All pretty simple. No instructions. Easy to figure out. SOUNDS - with 2 adjustments. I liked the music! MAP: NO MAP. Game is chaptered. JOURNAL: NONE DIFFICULTY SETTINGS – ONE MODE SETTING ONLY HINT: About a minute to recharge. Not always helpful. BFG does have a walkthrough. INVENTORY – Remains visible at all times CHARACTERS: Hardly at all. Once or twice, briefly. Playing the demo on this game will give you a very good idea of what this whole game is about. Rated 4 out of 5 by Tassiegal from An enjoyable sequel. Most of what I wrote in my review for the first game in the series (Dominic Crane's Dreamscape Mystery) also applies here so I won't repeat it. The storyline progresses and comes to a partial resolution but there was no change at all in the style or look of the game. That wasn't really a problem, more of a missed opportunity for the developers. The music was different from the first game (but I still didn't like it!). I generally turn game sounds down or off, as I find them distracting and/or irritating. I have played both games more than once and enjoyed playing them back-to-back. Having got used to the relative lack of guidance I also enjoyed the challenge of working out what needed to be done. I did use the skip button once but managed that puzzle the second time around. All in all, I found this another relaxing game, with enough of a challenge to exercise the 'leetle grey cells' (I also like Hercule Poirot!). As always, download the trial version and see how you go. The 1-hour trial facility is a great feature of BFG. Thanks guys! Rated 4 out of 5 by Rebr2009 from Old style, yet fun ! I bought this game the beginning of 2011, and today I played again. It's still entertaining and interesting. The graphics, music, locations and ambiance are well made, and the story holds you: Dominic is hypnotized to try to communicate with his missing sister. It has a large amount of HOS, which although easy, are entertaining. Mini games are not very challenging, some enjoyable, such as "the safe". Has no map or journal, you have to follow your intuition and find out what has to be done, although sometimes it does not make much sense - like throwing water on lion or put the coin in the fountain! Some places have sparklers when the mouse passes, and if you click (not at all) appears a tip! A game without the special effects and not much adventure as current games, but you have to think and find your own way. This is nice! I had great time playing again! Rated 3 out of 5 by pennmom36 from Dominic Crane 2: Dark Mystery Revealed Dominic Crane is an artists who has been having dreams about his sister who disappeared when she was 13 years old. In his dreams he meets his sister who is full grown now so he seeks the help of the psychiatrist once again. The doctor once again puts Dominic into a hypnotic trance and you will enter his dreams once again. In order to progress to the next dream you must find a scroll, find all of the scrolls and you will solve the mystery of Dominic's sister. The first game in this series wasn't that bad with the exception of the fact that the hint system was practically worthless and there was no explanation for any of the mini games. This game is a mirror of the first game, the mini games are the exact same, find the safe's code, enter the code and then figure out which symbols relate to each number. The puzzles are the same, swap tiles to create a picture or correctly place the jigsaw pieces. 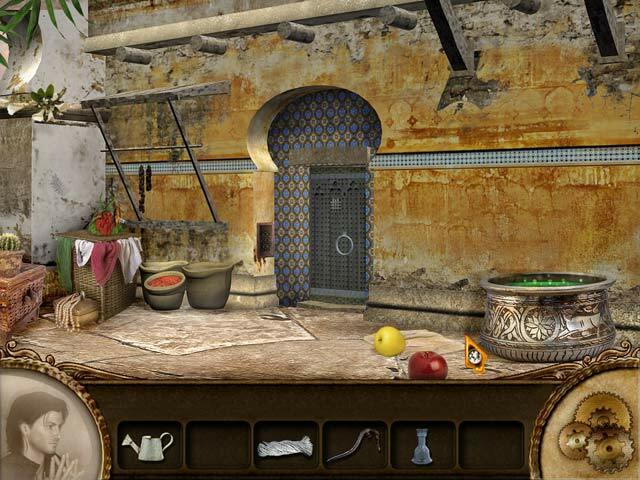 The Hidden Object scenes are the same, some items difficult to find because the scenes are the same color hues. I just wish the devs had used a little creative imagination instead of tweaking a few scenes. Rated 2 out of 5 by Limey2 from Played better. No instructions, long time for hints to refill, only got some of the puzzles through trial and error, skip button took ages to fill, can find better things to do with my time. Rated 2 out of 5 by amilahani from Disappointing Bought it since its a Daily Deal. Totally regret this. Poor graphics, puzzles are fairly tough (one of few good points), but the mini games annoys me. There's no skip button for mini games, and I ended using hints a lot. Totally a disappointment. Rated 2 out of 5 by aussiepenguin from No direction I gave this game a try, as it was available for the Daily Deal. I found it a difficult game to play as it had no real direction - it was very hard to know what you were supposed to do next. Often I found objects by accident, and then found they were needed later. Puzzles had no instructions so you had to guess what was expected of you - most of them I had to skip as I had no idea what the final outcome was supposed to be. I played for approximately 30 minutes before I gave up. I wouldn't recommend this game unless you like to guess where you are supposed to move next. 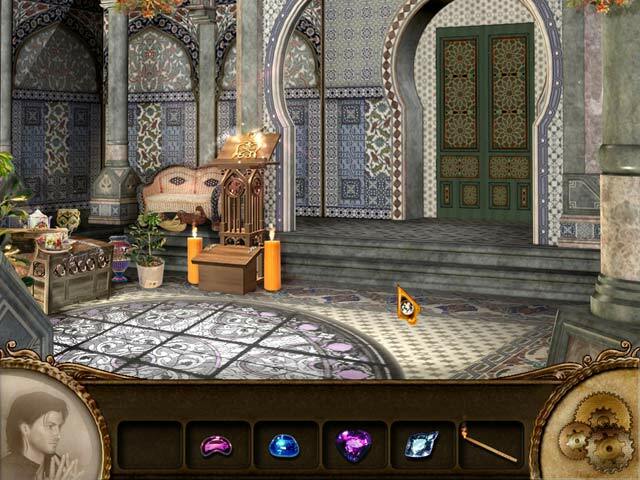 The hidden object games were reasonable, not too difficult, but the rest of the game was quite clunky. Rated 1 out of 5 by AutismMom00 from Dominic Crane 2: Dark Mystery Revealed. Just awful. Absolutely NO help given in this game. I do not want to have my hand held as I walk through the game, but there are no hints whatsoever. There is no communication as to what my objective is: Who or what am I looking for, or do I need to speak with someone? Tiny arrows to one side of the screen or the other tell you which room you can go in, but you have to look carefully to see them, as sometimes, they blend into the background. I played roughly 15 minutes and just gave up in disgust. It wasn't even mildly entertaining. I would not get this game even if it was free. Take an ominous trip with Dominic and help him piece together a mystery from his dreams in Dominic Crane 2: Dark Mystery Revealed!